The days are getting longer, and lately it’s been 50 degrees and drizzly. For cyclists, this is far more comfortable than 40 degrees and pouring rain! With the early season mountain and road races just around the corner, most of us are increasing our training hours and looking forward to racing again sometime soon. 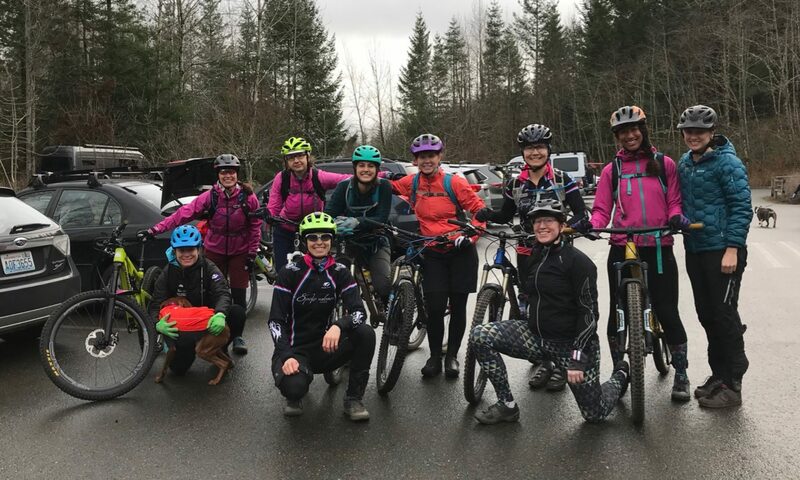 You’ll see some of us at the first Budu MTB race this Sunday, February 17, at Dash Point Park in Tacoma. Our time trialists are also gearing up for the early season TTs, and the Mason Lake World Championships (er, Road Race Series) kicks off the WSBA road season in early March. It’s been awhile since we last posted a teammate of the month. As we get back into gear with racing and blogging, we are proud to highlight Mirna Nieto, the 2013 president of our team. Mirna’s hometown is Chihuahua, Mexico. She moved to Seattle in 2006 to further her career. She began racing in 2011 with SCCA/Starbucks, where she helped build a successful women’s squad for the team, mentoring new riders and helping teammates gain skill on the road. 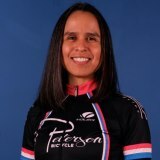 As one of the founding members of Peterson Racing p/b Spokeswomen, Mirna’s commitment to the success of our team, and women’s cycling in general, is evident in her outstanding leadership and service both on the bike and off. On the bike, Mirna is an avid Cat 3 track racer. Though she plans to put most of her energy toward riding at the velodrome this year, she also has a strong background on the road, where she is a Category 2 racer. She has raced extensively in road races, criteriums, time trials, and stage races. She has won a few local road races, including two State Championships. As a Cat 3, she won the Capital Stage Race GC, meaning that she had the fastest overall time out of 4 diverse stages (two road races, a time trial, and a criterium). Mirna was treasurer of Peterson Racing last year, and will serve as president this year. She oversees many aspects of our team and often hosts board meetings and team meetings. In addition to this and her busy career, she is also very involved with the Marymoor Velodrome Association (MVA). She serves on the board, working mainly with the Development Committee, whose purpose is to retain new riders and help them improve. Last year, she taught the PeeWee Pedalers class, which is geared towards kids 5-8 and focuses on bike safety, skill building, and playing fun games on bikes. This year, she plans to focus on the development of women and junior riders on the track by leading the mentor program for new riders that come through the track class (a class which is required for all new track racers). The goal is to pair new racers with a mentor who can help them navigate the first year of racing and support them as they gain skill. If you are interested in track racing–we highly recommend it to racers of any level, since it is a fun race discipline and a great way to learn tactics and gain fitness–please visit http://velodrome.org/mva/.